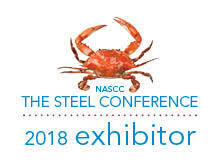 NASCC: The Steel Conference is the premier educational and networking event for the structural steel industry, bringing together structural engineers, structural steel fabricators, erectors and detailers. The Steel Conference offers more than 130 sessions on topics ranging from "Stiffeners, Doublers, Web Plates—Oh My!" to "10 Seismic Lessons from the Design of Large and Complex Structures" to a "Fundamental Principles of Project Management and Tools for Project Success." In addition to practical seminars on the latest design concepts, construction techniques and cutting- edge research, the conference also offers an extensive trade show, featuring products ranging from structural design software to machinery for cutting steel beams, and plentiful networking opportunities. And one low registration fee gains you access to all of the technical sessions, the keynote addresses, the T.R. Higgins Lecture and the exhibition hall.